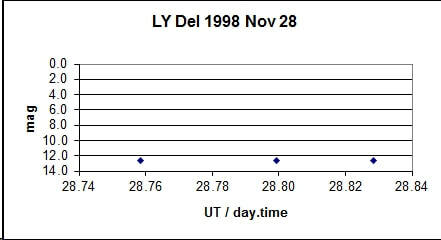 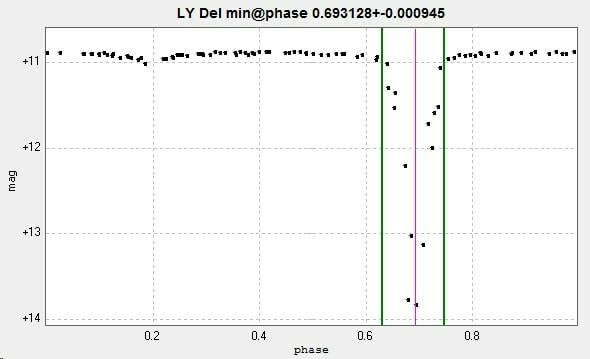 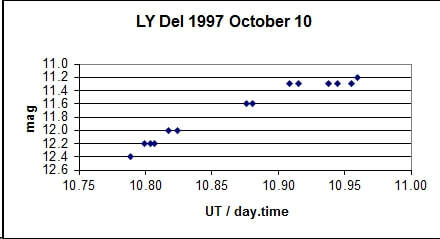 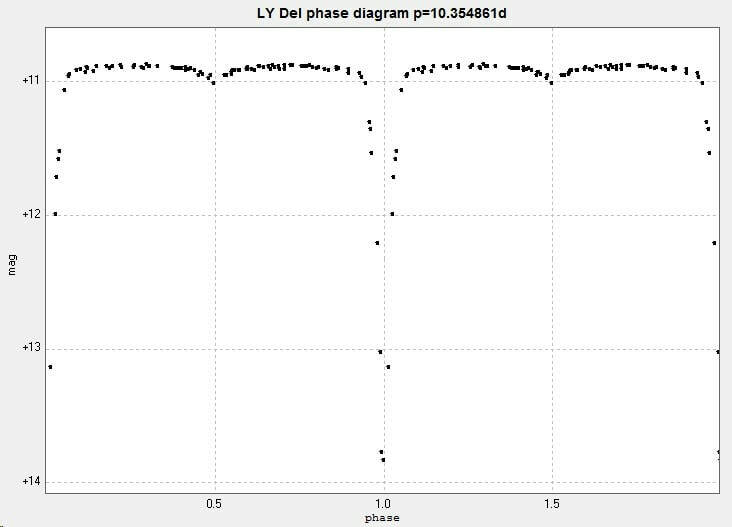 Light curve and phase diagram of the EA type eclipsing binary LY Delphini / LY Del. 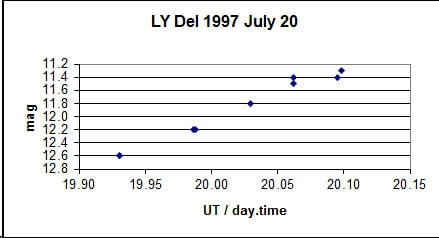 I had previously made some visual estimates of this star in 1997 and 1998 using a 10" Newtonian which are included here. 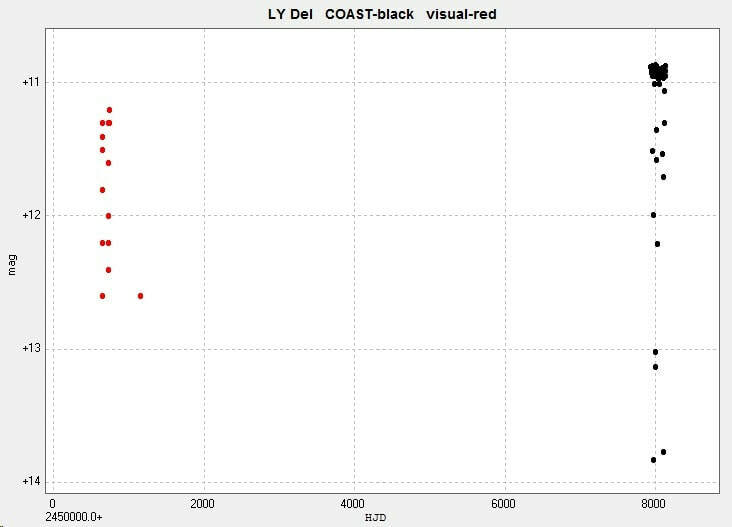 Adding these visual estimates, in red, to the COAST data, in black, results in the following light curve and phase diagram. 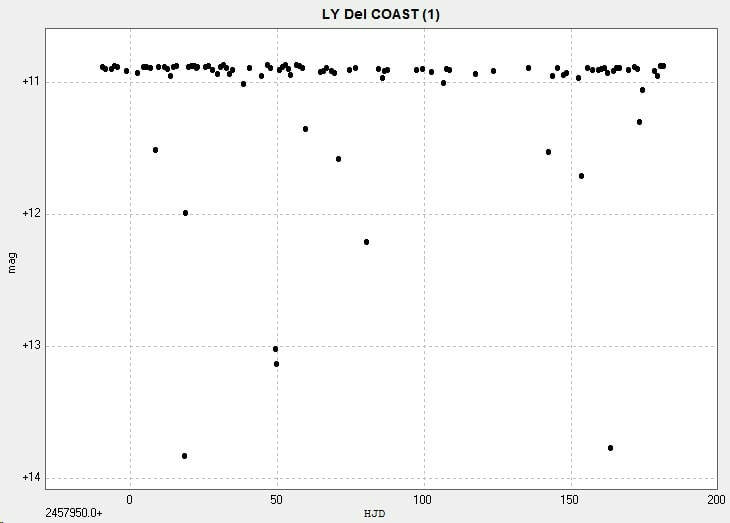 Visual estimates can be just as useful as CCD observations!